It's hardly a surprise that Handwritten is a great record. In fact, coming from such a dependable outfit, its success was virtually inevitable, with the only unexpected twist being the manner in which it excels. Ok, that's not strictly true - especially for listeners with a hint of common sense - but for the naïve among us, Brian Fallon's comments in the run-up to the its release seemed to herald something of a U-turn. "Fast," "aggressive" and personal" are just some of the adjectives that the frontman has flung around these past few months; could he and his band be about to return to their raw and loose punk roots? Of course not. I'll return to that term "common sense," because really that's all it would have taken to dispel such notions. It's not just the fact that this forth record represents their major label debut, nor is it due to radio rock dynamo Brendan O'Brien handling production duties. No, the reason why it would be absurd is that it's becoming increasingly clear that Fallon's heart no longer lies in punk rock. That is by no means a bad thing. Indeed, his transformation over the past five years from gruff hopeful to modern Americana figurehead could scarcely have been more smooth - certainly so much as to render a retreat counterproductive. 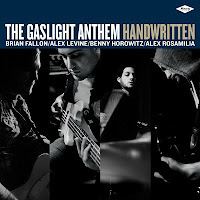 Clearly aware of such, Handwritten continues The Gaslight Anthem's logical journey towards the middle of the road; territory they've already mastered and can now legitimately claim as their own. Sure, there are two defiantly uptempo cuts in "45" and "Howl," but in truth even they house a soft centre, with rich melodic bases effectively offsetting any perspective rough edges. Gluing them to the glut of slower numbers is Fallon's songwriting, which here scales new levels of accomplishment. The mid-paced stance does occasionally account for some of his blandest songs to date, but such imperfections are comprehensively outweighed by the pure unadulterated genius we're beginning to take for granted. "Biloxi Parish" for instance exemplifies the type of all encompassing anthem that's gained band such a strong crossover appeal, with its calculated simplicity and soaring chorus sure to make it a stormer in the live environment. On the other side of the coin, "Here Comes My Man" sees the singer narrate from a females perspective; a rarity among male writers which alone proves that he remains open to fresh challenges. This record's crowning moment, however, is "Too Much Blood," a contemplative stunner that's as close as they've come to an arena-ready sound. Sung with a staggering depth of emotion, it's quite possibly Fallon's most beautiful composition yet, ranking alongside the likes of "Miles Davis & The Cool" and "Here's Looking At You Kid" in the realm of Gaslight classics. Realistically, classic isn't a word you could attribute to Handwritten as a whole, but as with the majority of the band's catalogue it's not far off. Records like The '59 Sound tend to be one offs; moments where every aspect falls into place, brewing a magic that's virtually impossible to rekindle. 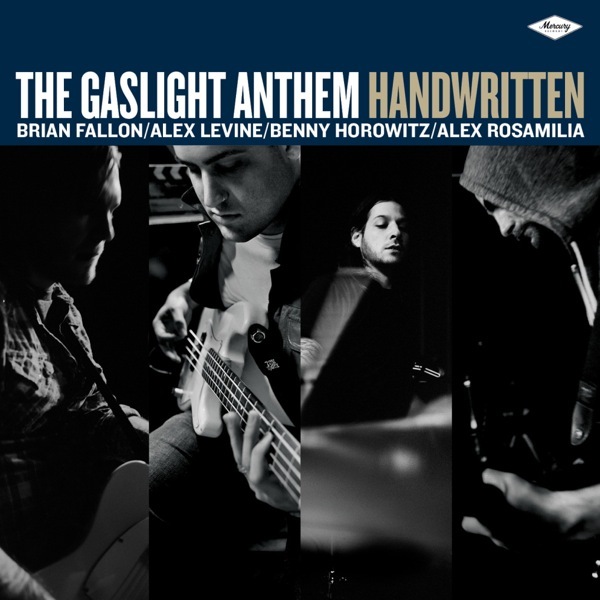 However, whilst Fallon and The Gaslight Anthem are yet to match the scale of their 2008 effort, a significant slice of its majesty remains, and it's that which is largely to thank for their continued excellence. Who knows? Maybe one day lightening will strike again. Even if it doesn't, it's difficult to imagine anyone complaining should they maintain these standards.